The L.E.A.D. 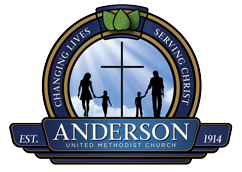 (Leadership through Education, Advocacy, and Discipleship) Mentorship Ministry is a new outreach ministry of Anderson United Methodist Church. The program, which runs concurrently and at times functions jointly with the D.I.V.A.A.S. (Developing and Inspiring Virtue in the African American Sisterhood) Mentorship Ministry, – an outreach ministry for African American girls – is designed as a comprehensive planned mentoring initiative to help develop social and Christian leadership skills of African American males.